I find it very interesting that beneath the radar, several diseases seem to be re-emerging at the same time: typhus in LA, measles in Washington state, ebola in Congo. “Almost 1 million pigs have been slaughtered over the past six months as the country battles African swine fever. And with no sign of the disease coming under control, more culls are set to come which could cripple the domestic pig farming industry. When I read about the outbreak of African swine fever in China, it reminded me of the epidemics that seem to happen in collapse situations. Maybe the epidemics can happen in animals as well as humans, especially when the animals are kept in close quarters. Food supply has become more and more dependent on people eating meat rather than grain and vegetables. When a large number of pigs dies, it upsets the demand for soybeans in the US. This is part of what brought soybean prices down. Measles, through ignorance, is quite interesting. Maybe we are just too ignorant of a species? Population overshoot seems to be putting stress on an ecologically digressing species. What does digressing mean in this context? to deviate away from higher intelligence. Well yes. I’m sure we’re at peak dumbness too. How could any part of a global system be immune from peaking when the entire system peaks? I expect that there are other diseases as well that are at record highs. Yep, under the “controlled depop” scenario, the goal is to unleash such genetically targeted diseases while upper caste stays immune, robotic JITs are maintained by way smaller working class. Not sure the needed biotech is that advanced already, doubtful to work exactly as intended. It may not be as far fetched as people think. What is the old saying – once is an accident, twice is a coincidence, 3x is enemy contact. From the final months of 2001 to mid-2005, numerous people employed in the elite field of microbiology – which is defined as the study of organisms that are too small to be seen with the naked eye, such as bacteria and viruses – died under circumstances that some within the media and government came to view as highly suspicious and deeply disturbing in nature. It would be impossible to list all of the deaths in a single article. However, a summary of a number of cases will let you see what was afoot. Good point, it’s apparent at least some of it has connections to mil-industrials, their biotech branches trying to weaponize it. Every major country has got such program running from US/UK, Russia, India, China, Korea, .. even to lesser powers; that has been essentially re-confirmed again by numerous freak spy accidents recently. But I guess it’s doubtful they have it ready to to unleash it on some precise genetic profiling, it would work like selecting specific genes among the target population (racial, social class, health-fitness), lets say poorer SAmericans, MEs, Africans* or whoever share some specific set of genes, so they could be “easily” deleted out of the global consumption equation, etc. In my opinion the increase in diseases is related to decreasing energy per capita. With less energy to invest to battle nature, holes are popping up where nature is creeping back in to our little utopia. It seems like we need ever increasing energy per capita to fend off ever evolving diseases. Amazing all the unintended consequences we are coming up against as we mess with the natural order of things. Yes, more crowding takes more energy per capita to fend of diseases. Judi Bari (November 7, 1949 – March 2, 1997) was an American environmentalist and labor leader, a feminist, and the principal organizer of Earth First! campaigns against logging in the ancient redwood forests of Northern California in the 1980s and 1990s. She also organized efforts through Earth First! – Industrial Workers of the World Local 1 to bring timber workers and environmentalists together in common cause. On May 24, 1990, in Oakland, California, the vehicle used by Bari and Darryl Cherney was blown up by a pipe bomb. Bari was severely injured by the blast, as the bomb was located under her seat; Cherney suffered minor injuries. Bari was arrested for transporting explosives while she was still in critical condition with a fractured pelvis and other major injuries. In 2002, a jury in Bari’s and Cherney’s federal civil lawsuit found that their civil rights had been violated. Yes Sir, BAU FULL THROTTLE BABY…right smack in a brick wall. Judi Bari was a true warrior for the planet. I actually had a detailed conservation with Cherney on the bombing. The State and its motives were brutal. Would that be the Deep State? Some people think it might have been her ex-husband wot dun the bombing. Others have speculated that Cherney may have been responsible for the bomb but that it went off ahead of time. And then there were enemies both in the Earth First movement, in the logging industry, and among her own neighbors who hated her with a passion. Not that the FBI or the CIA is above such things as assassinating people with bombs, but there has never been any proof they bombed this pair, has there? Boy, Tim, how do you ever fabricate your story, I wonder? Some folks have a very active imagination, ignoring the actual evidence. Does not negate the outcome of the finding of the lawsuit against the FBI and the Police, does it, Sir? Please read the link to her Wikipedia page…that will correct your other unwarranted comments, than you. Bill, I wasn’t there and haven’t exhaustively examined all the evidence, and I haven’t heard the arguments the prosecution and the defense councils. And even if I had done all that, I would still probably be undecided. That’s why I stick to questions rather than pretending to give definitive answers. If you think the State in some form or another bombed these two activists, that’s your prerogative, your opinion, your theory, your story, or your truth. But it isn’t an established fact. You don’t know what happened any more than I do. The lawsuit you mention was unrelated to the charge of who planted the bomb. Before she died, Bari and Cherney filed suit against the FBI and OPD for violating their civil rights by pursuing an unsupported criminal case against them. In 2002, a jury found for Bari and Cherney, and ordered Frank Doyle, two other FBI agents, and three Oakland police officers to pay Bari’s estate and Cherney $4.4 million, after a trial mainly characterized by the OPD and FBI blaming each other for the investigation’s myriad screwups. So we are still left with a real-life whodunnit, innit? Tim, it is apparent that you don’t know…but you set to imply that you do know. The rapid presence of FBI bomb investigators at the scene, virtually simultaneously with first responders from the Oakland Police Department, raised suspicion that the FBI knew about the bomb beforehand and might even have been responsible for the bomb. In Bari’s words, it was as if the investigators were “waiting around the corner with their fingers in their ears.” It was later revealed that there had been a tip to law enforcement, suspected to be from the person responsible for the bomb, that “some heavies” were carrying a bomb south for sabotage in the Santa Cruz area. The rapid response of the FBI to the bombing and their immediate focus on Bari as a suspect rather than a victim are consistent with surveillance of Bari after receiving a tip about a bomb. FBI analysis of the explosive device determined it was a pipe bomb with nails wrapped to its surface to create shrapnel, and that it was equipped with a timer-armed motion trigger ensuring it would explode only when the car was driven. The bomb was also placed on the floorboard directly under the driver’s seat, not on the floorboard behind the seat as Agent Doyle had claimed. That evidence pointed to the bomb being an anti-personnel device placed with the intent of killing the driver of Bari’s car. Despite that evidence, the FBI investigation remained focused on the theory that the explosion was an accidental detonation of a device knowingly transported by Bari, with attempts to match roofing nails transported in Bari’s car to finishing nails used with the bomb. After seven weeks of continual news stories citing repeated police claims that all evidence pointed to Bari and Cherney as culprits, the Alameda County District Attorney announced that he would not file any formal charges against the pair due to insufficient evidence against them. Law enforcement agencies never followed through on the evidence that the bombing was an attempt on Bari’s life and the crime would go unsolved. She was a true warrior for the planet? You are fond of rhetorical exaggeration, Duncan. But what do you mean by that ostensibly vapid statement? Perhaps we should allow Ms. Bari to give you the answer herself. Well, here Judy begins by saying she believes that all species are equal and that no species has the right to cause the extinction of another. That’s hardly defending the earth, is it? The earth is indifferent to how many species inhabit it and whether they kill each other off or not, surely? It’s also reciting a creed of credulous speciesism. Believing in equality between species, believing in the rights of species—it’s all very well, but it’s just airy-fairy intellectualism. Judi’s statement is indicative of a human mind attempting to impose its own opinion on the natural in order to achieve its own goals. It’s also at the other extreme of the Old Testament-inspired view of humans as masters of creation, with the right to do as they will to any other species anytime and anywhere they choose. And it is inherently anti-individualistic in that it implies that as long as a species is not endangered, it is perfectly OK to cause the extinction of its individual members. Which brings me back to the fascinating question of how do we as warriors or in any other capacity defend the earth? Well, Tim, before you start to judge her please listen to her full interview yourself. Appears you have an agenda yourself and wish to assert it. Please go back and view and listen to her whole interview, thank you, Sir. If you do so, that will validate Duncan’s comment. P.S. I’m not going to debate you. but does it even matter? Well, as Donald Tusk said to Cameron: ‘You don’t have to enact every manifesto promise’. The prosperity narrative is certainly failing nearly everywhere, and people will grasp at straws. Who needs Socialism, when there is rigged Capitalism….like Trump declared….”This Nation will never be socialist country”. He is one of those that reaped the rewards of this fact, why change it? P.S. Odd that those with distain for socialist policies readily accept Government Programs, such as, Social Security and Medicare, ect. They could easily determine how much they contributed to the program and terminate it when they recover their monies plus interest. Never heard that being done. Heard from a retired mail carrier that delivered SS checks to an exclusive wealthy area, the woman would chuckle that this was there play money for that day….Suppose if one is fortunate and secure in life…it’s a beach. I bet you can guess who it is about. Isn’t socialism when people pay taxes and those taxes are used for various purposes, like fire dept., police dept., library, post office and the military. Anyone in the military is a socialist worker. Ok, Trump and GOP, get rid of the military and reduce the amount of socialism. When right wing politicians say they don’t like socialism, they are actually saying they don’t like communism. How the two became interchangeable is a question for the GOP that continues to conflate the two, without I might add the listless Dems ever contradicting those statements. Communism is the idea that everyone (except the top elite of course) get a standard wage. I don’t see the Dems advocating a standard wage. Like the old saying …Why live in Russia (Soviet Union) when you can live Netherlands or Belgium? They may pay a higher tax rate, but get a lot in return. Food for thought….President FDR received, during the depression, letters of heartbreak from the elderly in destitute conditions, pleading for a way to support themselves. Many, too old to work or not hirable (high unemployment) needed a safety net. That’s where Social Security came into being. Of course, FDR, being handicapped in a wheelchair, could put himself their shoes (just a joke). Actually, he went a step further, setting up an universal health care one payer system for the United States. World War II interrupted it’s placement and after the war the administrative personal to set up the system in the United States were first sent to war torn Europe to establish it there first. Harry Truman had his hands full with other pressing matters and decided the Labor Unions should handle the matter with business. Oh well, such is fate. Well, the idea that “socialism is communism” goes back a long way. Back in the day, Lenin said so. GB Shaw said so. Sylvia Pankhurst said so. Ayn Rand said so. 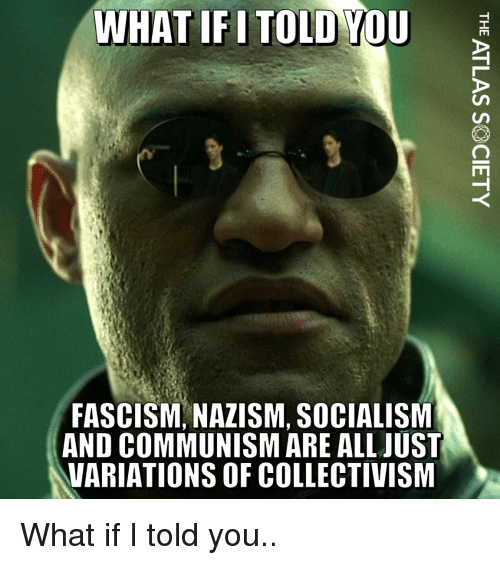 You can classify collectivist ideologies until you have 39 flavors, but they are all flavors of collectivism. he main difference is in the amount of coercion the apply to the people forced to abide by them. To a person who values their own liberty, all are equally abhorrent. It occurs to me that elections are for adults what xmas is for children. We try and pick the Santa who promises us the most without thinking too hard about the realities. AOC seems to embody this best. Maybe we need to shorten the election cycle so we can have that ‘buzz’ once a year like we did when were just out of nappies? 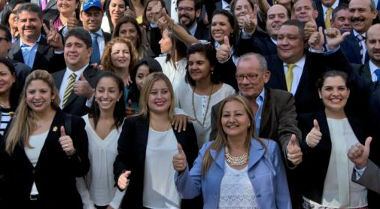 (CNN)President Donald Trump on Wednesday announced that he is recognizing Venezuelan opposition leader Juan Guaido as the legitimate president of Venezuela. “In its role as the only legitimate branch of government duly elected by the Venezuelan people, the National Assembly invoked the country’s constitution to declare Nicolas Maduro illegitimate, and the office of the presidency therefore vacant. 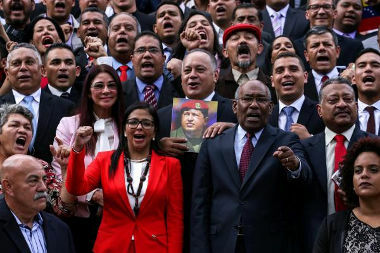 The people of Venezuela have courageously spoken out against Maduro and his regime and demanded freedom and the rule of law,” Trump said in a statement recognizing Guaido as interim president of Venezuela. That’s right Trump’s boy didn’t even run much less was on anyone’s radar. Don’t even get me going about the whole Brexit deal. I believe May is going to have a nervous breakdown on live television before it’s over. We have basically gotten through a mild winter, without much of a run up in prices. Natural gas producers need higher prices than this to stay in business. The oil equivalent of these prices can be obtained by multiplying by 6. $2.57 per Mcf is equivalent to $15.42 per barrel of oil. Not a good price for natural gas producers. Thank you, Gail does that mean they stopped flaring? DOUGLAS, Wyo.—Chesapeake Energy Corp., best known for its trailblazing pursuit of natural gas from shale formations, is making a big bet on the oil below the rolling grasslands of eastern Wyoming. The timing on their entry into oil no doubt hurt Chesapeake, but I bet they still have a lot of natural gas as well. The combination has not been good at all. Actually, elections today are more like Reality TV and a Game Show. It’s basically entertainment for the TV networks. In my opinon, the elections are about the topics that are of the interest of the population. Not the solutions, as no one has solutions. The winner is the party or the person, who sees what are the most important topics for the population. That is why we no longer have like the right or the left parties, the Republicans or the Democrats. The parties can have various strange names, like we see it in Italy, and they are carriers and representants of the hot topics. 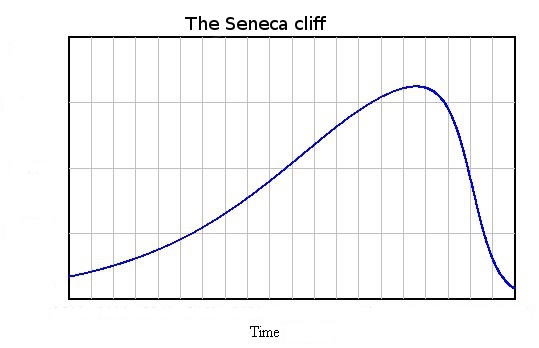 When the interest in a given topic dies, the given political party is usually doomed to death. For me swap out the word Talent for Politics “America’s Got Talent”. It’s become a Game Show. The Italian case is a relevant one. But you have to take into account it took decades, and decades, decades more for the Italian voter to decisively commit to alternative (fringe) parties after all. The traditional systemic propaganda pealed off finally when people realized, yes the corruption of perennial political parties system is not only cliche talking point, hell it impoverished me markedly and I can’t take it anymore! And exactly the same occurred on related topics, open border policy – influx of migrants, etc.. The fun and tragic point about these deeper political realignments is that they come often way past the threshold of implementation of different corrective path forward. In other words the changes applied will have its cost to the detriment of the public. It’s like field surgeon deciding should I keep the badly injured patient two legged or one handed instead.. I agree with you. For the voters it’s a dilemma. There’s a cost involved in continuing to go with the same political agenda that has been delivering poorly in recent years, and a cost involved in making changes, and there’s no guarantee that the changes will be beneficial. But perhaps the people have reached the point where any change seems preferable to the status quo. or is everything just fine and dandy? These yields are ridiculous! Think about pension plans that are to be funded with these yields. Return of investment, not return on investment. “No,” one expert, Karen Hobert Flynn, the president of the government accountability watchdog group Common Cause, said decisively. “So, let’s say I have some skeletons in my closet and I need to cover it up so that I can get elected,” Ocasio-Cortez continued. The New York representative did not hide the fact that she had some very specific “skeletons” in mind, immediately turning to an article written by one of the panelists on hush money payments made shortly before the 2016 election to women who alleged they had sexual affairs with President Donald Trump. After Smith acknowledged that he did write a story with that headline, Ocasio-Cortez summed up: “So, greenlight for hush money, I can do all sorts of terrible things. It’s totally legal right now for me to pay people off. “Are there any limits on the laws that I can write or influence?” Ocasio-Cortez asked the expert panel. “There’s no limit,” Hobert Flynn acknowledged. “That’s right,” the ethics expert said. “So, I could do that? I could do that now with the way our current laws are set up?” Ocasio-Cortez asked, seeking clarification. “Yes,” Mehrbani said. “Yes,” at least two panelists confirmed. “So, I’m being held, and every person in this body is being held, to a higher ethical standard than the president of the United States,” Ocasio-Cortez said. Ocasio-Cortez’s “Corruption Game” did not end there, however. “You could do that,” a visibly bemused Rudy Mehrbani, who serves as senior counsel at the Brennan Center for Justice at the New York University School of Law, replied. “And it’s already super legal, as we’ve seen, for me to be a pretty bad guy. So, it’s even easier for the president of the United States to be one, I would assume,” Ocasio-Cortez said. There is it a perfect explanation through this Q&A why DC is so corrupt, because as we know if people can be corrupt, they are. Imagine what the situation is like in China, where there is a tradition of taking bribes for every type of favor. And cheating if you can get away with it. Quite a few in the US come from a Judeo-Christian set of beliefs about what is right and what is wrong. This doesn’t necessarily hold for the rest of the world. China is very protective of what its people see of the outside world. In some ways, it is more conservative than the US. What is accepted by the culture has a lot to do with what actions politicians and other leaders take. Quite a few in the US come from a Judeo-Christian set of beliefs about what is right and what is wrong. This doesn’t necessarily hold for the rest of the world. Perhaps a different view of what is expected. True, in a very different way. I don’t think taking bribes and cheating are considered virtues in Buddhism and Taoism. The ten commandments can fit into any major religion, really. China has done its best to reduce the practice of any type of religion. Consuming more, and getting a better lifestyle, has become all important. (Not very different from the US! Who needs a god, when the politicians can solve all problems?) Also, the government is interested in providing jobs for everyone. This is a major reason for the many State Owned Enterprises. I was in Osaka the other day. The streets were filled with thousands and thousands Chinese tourists over for the New Year holiday break. The shops were doing a very brisk trade, not just in things like brand fashion goods but also home electronics/electrical products and pharmaceuticals. It seems that many Chinese people don’t trust the boutiques, electrical stores or drug stores in China because they believe many of the products sold there are defective or fake. Whereas in Japan, even Chinese shoppers tend to trust Japanese drug stores not to sell pain killers or cough medicines that are fake or of poor quality. The issue is one of corruption, but it goes what we’d recognize as ordinary corruption. In societies where the vast majority of people are honest, fraud is limited to the extent that people tend to trust each other not to systematically cheat each other over small fundamental matters. You buy a box of Asprin, for example, you get a box of Asprin. But once you have a society in which some people will go to the trouble to produce fake boxes Asprin and sell them into the distribution system where others can pass them off as legit because this is cheaper than buying genuine products from the manufacturers of real Asprin, and the public finds out about this deception, then trust in everything breaks down. Fake goods do go on sale in Japan and elsewhere too, of course, but IMHO not to anything like the extent this sort of thing goes on in China. I agree. China is known for its fake goods. Possibly the most eloquent commentary on the true nature of the Chinese ‘economic miracle’! Interesting idea! There is much more central control of everything. In the area of corruption, the Center for Disease Control seems to have its own problems. The Atlanta Journal Constitution recently published an article about how Coca Cola had influenced the Center of Disease Control over the years, to skew its finding on what foods were appropriate for Americans in favor of findings that would be helpful to Coca Cola. For example, lack of exercise and too much fat were the cause of American’s problems. Both of these organizations are located in Atlanta. This kind of situation is not really protecting the American public. I can imagine that meat producers and fast food folks have an influence as well. We are on a collision course with arithmetic, and arithmetic is going to be the Winner. Try a thought experiment. A farmer has a farm of 10 square miles, but it’s just him and his wife. So they have 10 kids because they need farm labour. The next generation now works 1 square mile. But those 10 have 10 children each, and now everyone works a tenth of a square mile. Do this again, and everyone now has a postage stamp. At what point ( because tractors and farm machinery has been invented in the meantime) do you get family members for whom there is no job on the farm? Well, the farm is the world, and the children are the 8bn of us living on it. We just don’t need all the labour we have around us, and we can’t put it to work. Meantime another 90m people a year are arriving on earth. All of them young, and most of them will never see a job in their entire lives. What’s worse is that these unemployed are now demanding free education, breadwinner wages, and free medical care. Where could all this possibly come from? So the world belongs to the lucky few. Hence the inequality and no way of fixing it. That is sort if what happens. 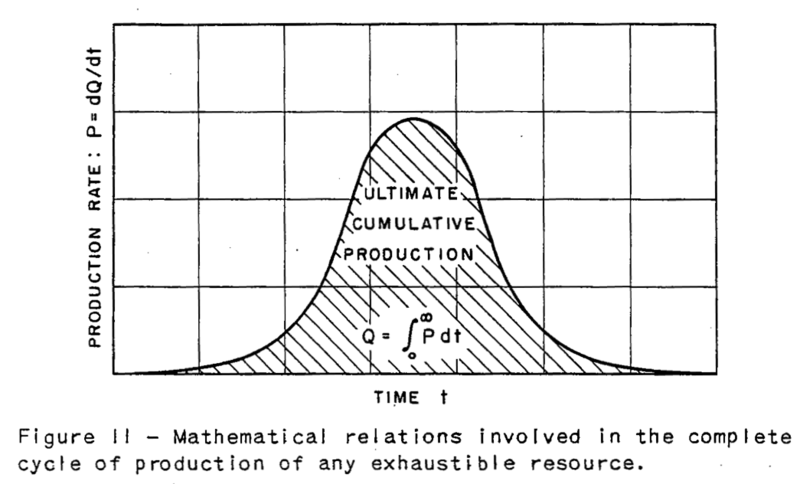 The problem is also qualitative, not only quantitative: those who say that the planet can feed more and more people disrespect the depletion of the soil and the rising amount of energy that is needed for returning the depleted minerals to the soil: we have to mine less and less economic mineral resources, too. The connection of mining and agriculture today is very close. On one hand, we can get more food from smaller area, but only if we invest more into mining, processing and transportation of the minerals and other nutrients to the soil. 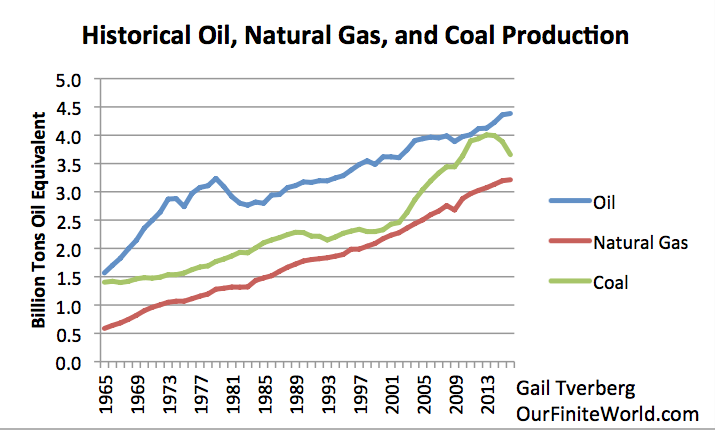 The current agriculture is much more energy intensive than many people realize. That way importing food from warm and humid areas to cold and dry ones becomes more and more economical than food production in the cold and dry areas. That way the tropical fruits and chickens from e.g. Brazil become more and more affordable in you Northern Hemisphere food stores. Can anyone see the difference? A lot more cute chicks in the National Assembly? Oh, and no Dear Leader.